You and your fellow crewmembers are proudly serving aboard USS Invincible when tragedy strikes. An explosion tears through the hull of your vessel, leaving the captain unconscious and the submarine without the engine power necessary to surface. A mayday call has gone out from your attack class submarine following an explosive discovery of a WW2 mine (boom). 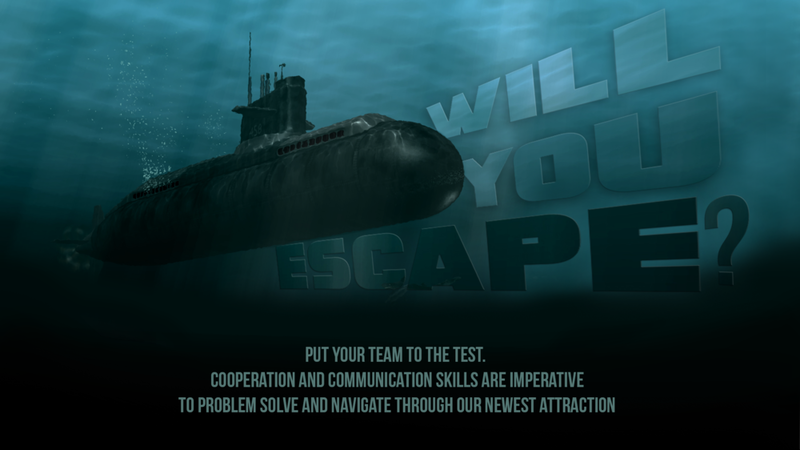 With only one hour of air and battery power remaining, can you and your team solve the mysteries within the captain’s quarters…and discover how to restart those engines? Let us Bring the Experience to you! We can provide half day ($1000 before transportation cost) and full day ($1,500 before transportation cost) rentals of our escape trailer. Please fill out the form below to coordinate your private booking! Where would you like to have the trailer?